Let's be honest, truffles aren't the prettiest things to come out from the ground. But these black, lumpy fungi are damn delicious, and they have a whole festival dedicated to them this winter. 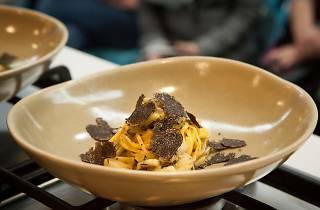 Truffle Melbourne is returning for the fifth year this winter, with a host of events including a two-day festival on June 16-17 at Queen Victoria Market. The festivities include live cooking demonstrations by Melbourne chefs, truffle dishes that won't cost you an arm and a leg (because let's face it, those things are exxy), and plenty of truffles and truffled products if you feel like stocking up for a delicious winter feast. This year's delicious food include truffle raclettes, six different truffle pizzas, lots of truffle burgers, truffle gnocchi, a truffle macaroni and cheese doughnut (don't knock it till you try it), gooey truffle cheeses, truffle crêpes, truffle charcuterie, and truffle mac'n'cheese. There's also a mock dog truffle hunt going on over the festival weekend, when you can watch the trusty canines at work. 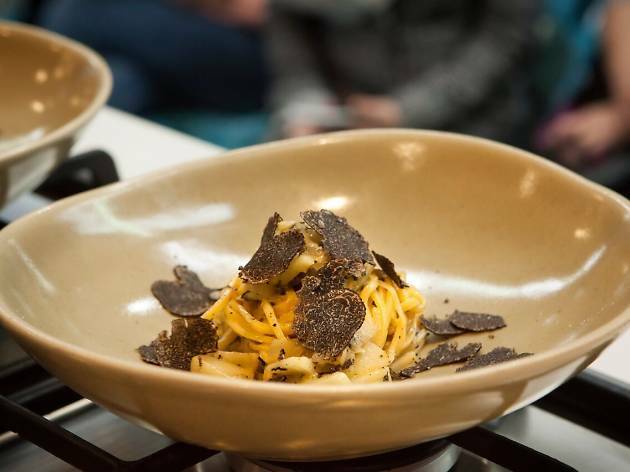 Truffle Melbourne will feature a host of events in June, July and August. Expect real truffle hunts, tastes and dining specials, so keep an eye out for the complete program on the event's website. I went to the 2017 Truffle Melbourne Festival and the Queen Victoria Market was the perfect venue for this festival, it just has a certain charm. The weather was fantastic and there was an abundance of amazing truffle food. Im a truffleholic, after a truffle dinner at Philipe Mouchels restaurant, https://www.philipperestaurant.com.au/ I have been hooked ever since. Its clear why he has been a hatted chef for the last 40 years. The festival also had some really good cooking demonstrations from some of melbournes leading chefs, I managed to find some of these videos https://www.thetrufflequeen.com/media/ where you can see their creations as they talk you through how to make them. This truffle festival is always great in the middle of winter to fill you with joy and warmth.